Grassello, white | Limes | Fillers & Building Materials | Kremer Pigments Inc.
Grassello is a blade-applied wall coating based on slaked lime putty finely filtered and seasoned for at least 6 months and on natural inert charges. Its environmentally friendly formula is solvent free (0 % VOC) and extremely low in chemical additives (less than 1.50 % in total dry residue). Easy to apply, it has excellent filling power and resists aggression by moulds and bacteria. Grassello is suitable for decorative indoor wall surfaces. 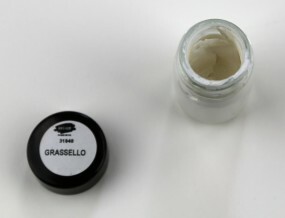 Customer evaluation for "Grassello, white"